Todd saw his first reining horse in 1995 and was hooked. He knew instantly that he wanted to train and show reining horses. He now owns Todd Martin Performance Horses, which is owned and operated by Todd & Taumi Martin. Our ranch is located in Boerne, Texas, about 20 miles northwest of San Antonio. We specialize in training, showing, lessons and selling reining horses. Todd is a NRHA Reserve Limited Open Futurity Champion, an NRHA’s Reserve Limited Open Derby Champion, a multiple time NRBC finalist and a SWRHA Futurity Finalist. He is also an open champion at multiple derbies and futurities. 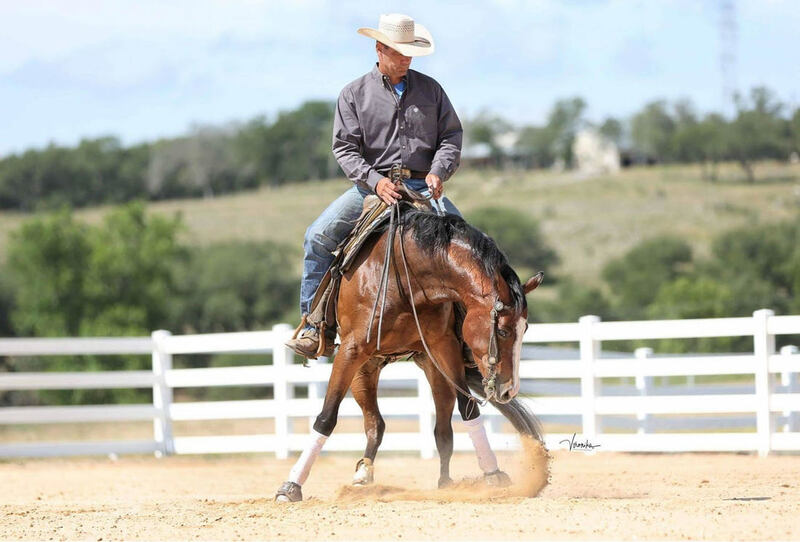 He is a member of the NRHA, TRHA, AQHA, TQHA as well as an AQHA Professional Horseman. Todd is an accomplished clinician as well as showman. He has done numerous clinics in the United States, Europe and Mexico. Also, look for Todd in different equine publications where he is published locally, regionally and internationally. We are so fortunate to be surrounded by the clients, owners and non pro’s that make Todd Martin Performance Horses home. To those that do, we thank you for calling our barn home! For those who might, stop by and spin some time….we would love to get to know you! We offer the following services. Please contact us for more information. We were featured on Wide World of Horses, Inside Reining, on RFDTV!